"Hard-drinking, hard-fighting, hard-loving — all for art’s sake." Throughout his life, additional personas would attach themselves to him: rugged deep-sea fisherman; big-game hunter; postwar liberator of the Paris Ritz; white-bearded Papa. He relished all of these identities and so did the press. When it came to selling copy, Hemingway was one of America’s most versatile leading men, and certainly one of the country’s most fascinating entertainers. By then, everyone had long forgotten one of his earliest roles: unpublished nobody. It was one of the few Hemingway personas that never really suited him. In fact, in the early 1920s—strapped for cash, ravenous for recognition—he was frantic to rid himself of it. Even in the earliest days of his career, his ambition seemed limitless. Unfortunately for him, the literary gatekeepers proved uncooperative at first. Hemingway was ready to dominate the world of letters, but its citizens were not yet willing to succumb. Mainstream publications turned down his short stories; his rejected manuscripts came back to him and were shoveled through the mail slot in his apartment’s front door. During such moments of despair, it is unlikely that Hemingway realized that he was actually one of the luckier writers in modern history. Circumstances often seemed to conspire in his favor. All of the right things made their way to him at the right moment: motivated mentors, publisher patrons, wealthy wives—and a trove of material just when he needed it most, in the form of some delectably bad behavior among his peers, which he promptly translated into his groundbreaking debut novel, The Sun Also Rises, published in 1926. In the book’s pages, those co-opted antics—benders, hangovers, affairs, betrayals—took on a new and loftier guise of their own: experimental literature. Thus elevated, all of this bad behavior rocked the literary world and came to define Hemingway’s entire generation. In the book’s pages, those co-opted antics—benders, hangovers, affairs, betrayals—took on a new and loftier guise of their own: experimental literature. Thus elevated, all of this bad behavior rocked the literary world and came to define Hemingway’s entire generation. Everyone knows how this story ends: to say that Hemingway eventually became famous and successful is a gross understatement. A Nobel laureate, he has been widely called the father of modern literature and for decades has been read in dozens of languages around the globe. More than half a century after his death, he still commands headlines and crops up in gossip columns. What follows is the story of how Hemingway became Hemingway in the first place—and the book that set it all in motion. The backstory of The Sun Also Rises and that of its author’s rise are one and the same. Critics have long cited Hemingway’s second novel, A Farewell to Arms, as the one that established him as a giant in the literary pantheon, but in many ways, the significance of The Sun Also Rises is much greater. As far as literature was concerned, it essentially introduced its mainstream readers to the 20th century. Not that there weren’t other tremors before this earthquake. A small movement of writers had been trying to shove literature out of musty Edwardian corridors and into the fresh air of the modern world. It was a question of who would break through first—and who could make new ways of writing appealing to the mainstream reader, who, for the most part, still seemed to be perfectly satisfied with the more florid, verbose approaches of Henry James and Edith Wharton. James Joyce’s radical novel Ulysses, for example, had blown the minds of many postwar writers. But at first the work was hardly a mainstream sensation: it wasn’t even released in book form in the United States until the 1930s. Paris-based experimentalist Gertrude Stein had resorted to self-publishing her works, which were often deemed incomprehensible by those who actually did read them. One of her books reportedly sold a mere 73 copies in its first 18 months of existence. F. Scott Fitzgerald had also been striving to reinvent the American novel and felt that he had succeeded with the publication of The Great Gatsby in 1925. Yet while the content of his novels was thoroughly modern—flappers, bootleggers, and other exotic urban creatures—his style remained decidedly old-school. Hemingway, by contrast, was Stravinsky. “He was inventing a whole new idiom and tonality,” explains Scribner. “And he was completely 20th century.” As one prominent critic noted around that time, Hemingway succeeded in doing for writing what Picasso and the cubists had been doing for painting: after the debut of the “primitive modern idiom” of cubism and Hemingway’s stark, staccato prose, nothing would ever be the same again. Modernity had found its popular creative leaders. The Sun Also Rises immediately established Hemingway not only as the voice of his generation but as a lifestyle icon as well. Before the novel’s debut, Fitzgerald had been doing most of the talking. In those days, novelists had quite a national platform. Movies were still a relatively new medium; TV was decades away. Novels and stories were a major form of popular entertainment. Fitzgerald had become a national celebrity; his new works were devoured and discussed as the finale of a beloved television show—such as The Sopranos or Mad Men—might be rhapsodized about today. Yale students flocked to the New Haven railroad station when trains bearing magazines with his latest stories were due to arrive. From Fitzgerald’s point of view, however, that generation was a decadent, champagne-soaked constituency. The Great Gatsby became the bible of the Jazz Age—which Fitzgerald himself had done much to invent. If he was seen as an apt chronicler of his times, he also prompted life to imitate art: many fashioned themselves after Fitzgerald’s racy characters—and after Fitzgerald and his flapper wife, Zelda, themselves. Hemingway’s debut novel changed that tempo considerably. With the publication of The Sun Also Rises, his generation was informed that it was not giddy after all. Rather, it was simply lost. The Great War had ruined everyone, so everyone might as well start drinking even more heavily—and preferably in Paris. Back in America, the college set gleefully adopted the label of the “Lost Generation,” a term that Hemingway borrowed from Gertrude Stein and popularized with his novel. The Sun Also Rises essentially became the new guidebook to contemporary youth culture. Parisian cafés teemed with Sun character wannabes: the hard-drinking Jake Barnes and the studiously blasé Lady Brett Ashley were suddenly trendy role models. Many generational movements would follow—the Beats, Generation X, the Millennials—yet none has been as romanticized as this pioneering youth movement, which for many still shimmers with dissipated glamour. With the publication of The Sun Also Rises, [Hemingway’s] generation was informed that it was not giddy after all. Rather, it was simply lost. And at the time, no one seemed a better representative of that chic lost world than Hemingway himself, thanks to the public relations machine that plugged him as a personality along with Sun. Those charged with marketing Hemingway’s work were aware of their good fortune: in a sense, they were getting two juicy stories for the price of one. It quickly became apparent that the public’s appetite for Hemingway himself was as great as that for his writing, and he and his team were quite happy to oblige them. Here was a new breed of writer—brainy yet brawny, a far cry from Proust and his dusty, sequestered ilk. Almost immediately upon the release of The Sun Also Rises, at least one press outlet noted the emergence of a Hemingway “cult” on two continents. No one was a better promoter of Hemingway than Hemingway. He had more commercial savvy than most of his competitors, and was almost savagely determined. Only 22 years old when he first arrived in Paris in late 1921 with his new wife, Hadley, Hemingway already “wanted very much to be a great, great writer and at that moment wasn’t,” as his fellow expat and close friend Archibald MacLeish put it. Not that Hemingway expected immediate glory: at that time he knew that he had a lot to learn, but he had a strong sense of what he wanted to accomplish and executed his goals with precision. To those who first met him in Paris, he seemed aptly named: earnest. Eventually he would reveal his ability to achieve his noble goals through less than noble means and material. Both the author and his debut novel would be born of unrepentant ambition. Even during those first few weeks and months, for Hemingway it was never enough simply to bask in the wonders of Paris and become part of the scenery. Not only did he want to stand apart from his expatriate colleagues; he wanted to leave them in his dust. Many expats at that time had grand literary ambitions, but beyond his good fortune, work ethic, and obvious talent, Hemingway held yet another ace that the others did not: a peculiar sort of charisma. He was gregarious, smart, and great-looking, and therefore a social prize. Because he was so opinionated, he drew the less assured like moths to a flame. Yet these are all components of a merely popular personality, not necessarily a charismatic one. Hemingway, however, could inspire slavish devotion during initial encounters, and no one has ever adequately articulated what made him so attractive to his peers. Some attribute his allure to his wicked wit and claim that he emanated an aura of excitement. Or it may have had something to do with his infectious enthusiasms, whether for icy Sancerre or heroic matadors or fish yanked from the Seine and fried on the spot. Maybe it was the way he listened to you: thoroughly, attentively. Only after the conversation ended might you realize that he now knew everything about you, yet had revealed little about himself. Even his most ardent detractors grew obsessed with him—some of whom resented his eventual rise even when they had heartily contributed to that ascent. One of his earliest publishers took to calling Hemingway the “Limelight Kid” and a “fabulous phony,” but still devoted many pages of his eventual memoir to him. “He made men want to talk about him,” recalled Morley Callaghan, a former Toronto Star colleague of Hemingway’s. These luminaries invited young Hemingway into their homes; they taught him everything they knew and helped sculpt him into the effective modern writer he longed to be. All along he watched and listened as he drank their tea and liquor. Soon many of Paris’s best-placed expat writers, editors, and literary gatekeepers were also placing their resources at his feet. He unabashedly took what he needed and usually moved quickly on—repaying most of his patrons for their generosity in unexpected ways, to put it mildly. Yet despite their patronage and his own furious efforts, Hemingway simply could not break through. By 1923, it was driving him crazy. It seemed that practically every month, another Fitzgerald short story appeared in another major American publication, but no one would publish the stories of Ernest Hemingway. 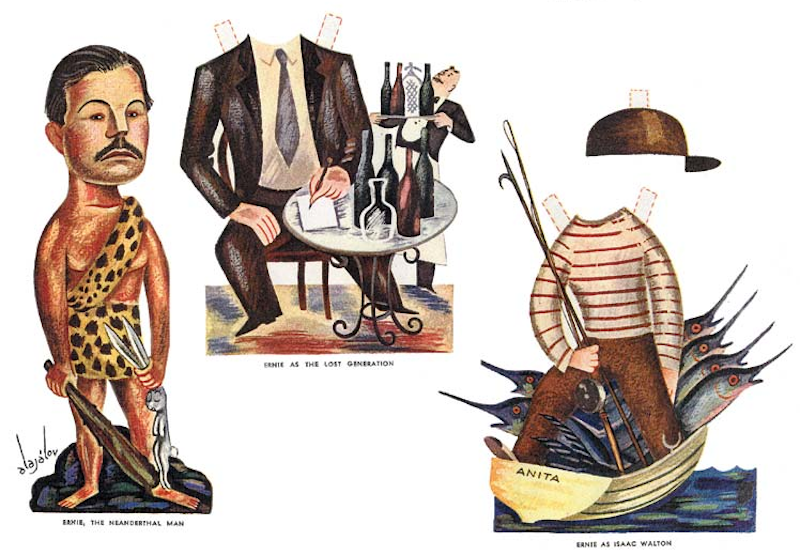 Eventually a couple of Paris-based expat boutique publishers brought out two little volumes of Hemingway poems, sketches, and stories. These booklets showcased his revolutionary new style but didn’t exactly earn him a mass readership; in fact, fewer than 500 copies of both titles combined ever went into circulation. Yet for the few who did read them, those stories gave an enticing glimpse into what a Hemingway novel might look like. Short stories were big business for magazines in those days, but as far as publishers were concerned, the best-selling novel was still the holy grail. Hemingway’s future was quietly discussed among those who might stand to profit from longform Hemingway. Back in New York, one American publisher wrote wishfully to a friend in the mid-1920s, “Hemingway’s first novel might rock the country.” The time had come for Hemingway to make a bold move. Frankly, he had known it all along, but it wasn’t necessarily an easy feat to accomplish. Already there had been at least three false starts. One idea had died on the vine. A second book had been started but didn’t make it past the 27th page of the manuscript. Another novel appears to have reached relatively mature form but was then lost in a soul-crushing mishap that would strain both Hemingway’s young marriage and his will to persevere as a writer. He chose to struggle onward, but his reporting job for the Toronto Star took away precious time from his own writing. When he dared to give up reporting, he was rewarded with penury; his family had to wear extra sweaters indoors to keep warm. He was plagued by writer’s block: sometimes it took him a whole morning just to scratch a few sentences onto a page. In the meantime, he feared that other young writers were surging past him. Then, once he managed to perfect his prose formula, there was the terrifying prospect that someone else might rip off his new style and make a splash with it before he could. Yet Hemingway refused to force the issue. The novel would happen when it was meant to happen. “I would put it off though until I could not help doing it,” he recalled later. “When I had to write it, then it would be the only thing to do and there would be no choice.” Until then, there was just one way to get there, in his opinion. 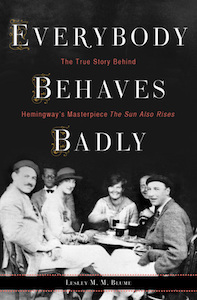 From Everybody Behaves Badly : The True Story Behind Hemingway’s Masterpiece The Sun Also Rises. Used with permission of Houghton Mifflin Harcourt. Copyright 2016 by Lesley M.M. Blume. Lesley M. M. Blume is an award-winning journalist, reporter, cultural historian, and author. She contributes regularly to Vanity Fair and the Wall Street Journal, and her work has appeared in many other publications, including Vogue, Town & Country, and Departures. 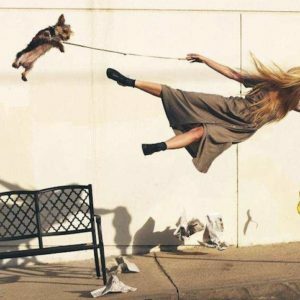 We Were Wrong About Gravity... What Do We Have Wrong Today?